Stacy Tilton Reviews: Boost your mood and awaken your senses next time you shower! Boost your mood and awaken your senses next time you shower! and Eternal Bloom. I have to say it was hard deciding which scent I liked better, but I think I have to choose the Eternal Bloom because I really like the fruity scent added to it. Softsoap has released two NEW Limited Edition variants that are sure to boost your mood and awaken your senses. The aroma of fresh May Blossoms in the Blushing Bouquet variant will turn your shower into a floral paradise. While the balance of fruity and floral scents in the Eternal Bloom variant will leave your skin and senses refreshed and revitalized. The best part is, both scents have moisture rich formulas that keep your skin hydrated, smooth, and radiant. Available now until September 2017 for a limited time at Walmart. 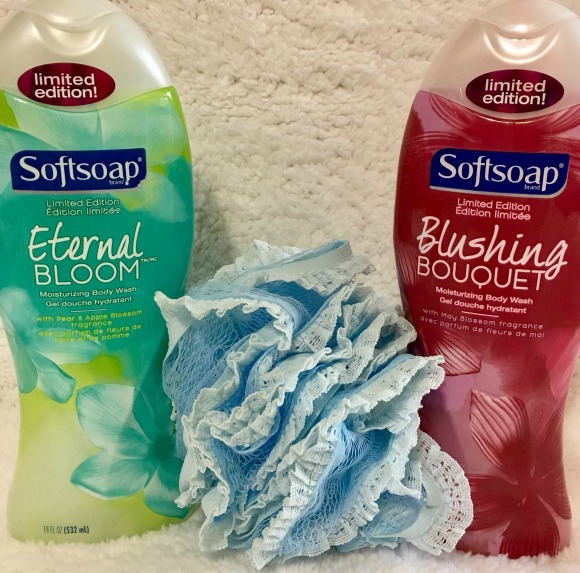 Buy it: Make sure you check out the "Special Offers" section of the Softsoap website for their current money saving coupons! These scents seem to be very fragrant! I'd love to try them! My stepson is a big fan of Softsoap. I personally like limited edition scents.